The NEC PA272W-BK-SV is a 27" color critical desktop monitor with SpectraViewII, which is ideal for high-performance enterprise users. 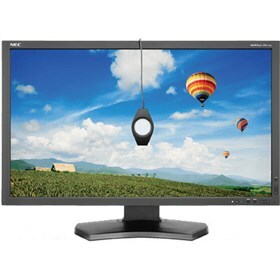 This monitor has 2560 x 1440 resolution and features AH-IPS Panel Technology with wide viewing angles and ergonomic adjustability. It features GB-R LED backlight that consumes 37% less power than a CCFL backlight. The PA272W-BK-SV desktop monitor provides 99.3% coverage of Adobe RGB color space with less power consumption. With MultiProfiler™ software you can control 5 picture modes. It also has wide 178° horizontal and vertical viewing angle along with 340 cd/m2 brightness and 14-bit lookup table for calibration. All input connectors allows wide connectivity to peripherals. The NEC PA272W-BK-SV has many exciting features for users of all types. See the NEC PA272W-BK-SV gallery images above for more product views. The NEC PA272W-BK-SV is sold as a Brand New Unopened Item.